Once WriteMyEssays.com was created we made it our ultimate goal to get to and stay on the top of custom writing services. To achieve this aim, we consistently hire the most reliable and professional authors in the industry and set a number of demanding requirements regarding quality of our custom written papers. We also devote particular attention to the uniqueness of orders we provide you with. This all allows us to join the list of best sites. Do you need more proofs? Before a completed assignment is delivered to a customer according to the final term (it’s done in 95% of cases), it is checked for plagiarism multiple times. Unlike other online companies, we never entrust this task to questionable tools and software. 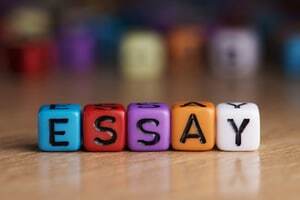 To make sure that an essay is unique, we check it with own software that shows only accurate results. The plagiarism detection tool is regularly improved and updated to meet the newest requirements. We guarantee that every paper you get is free of plagiarism against all open Internet sources. Today, the copy-pasting rate has reached the mark of 1%, so you needn’t worry about the authenticity of your custom-written assignment. If you have any doubts, you may use our Checker yourself. Uploaded materials are never saved in the database. Minimum symbol count is 1.000 and the report will contain the percentage of text plagiarized from a different website (s). Please note that unregistered users are allowed to check up to 5 texts during a month. If you have made an order before, you are allowed to upload up to 100 texts within the same period. “How should I act in the case of plagiarism detection in my research?” Send valid proofs: scanned versions of reports from a professor or turnitin.com. Other proofs and documents aren’t accepted as valid. How to Cancel and Order? You can apply for order canceling at any stage of its processing. In case it is done before the company assigns an author to it, a full refund is guaranteed. However, when a freelancer has been assigned and the project is confirmed, the refund depends on the deadline. A customer may claim a 70% refund only when half of the period has passed and up to 50% after that. Why so? The thing is that a penman, who starts working on a quality academic piece, is to receive compensation for the part he/she has already completed. You are not provided with a refund if the paper is completed and delivered on a Personal Order page. There may be a partial refund even when the paper is sent, yet you don’t like its quality. Final Terms: always make sure that you ask for a revision before the dissertation is approved or at least within 7 days after initial approval (21 days for Progressive Delivery works). When significant alternations are to be made, an extra fee is to be paid. We hold the rights to extend the final terms according to a request of a freelancer. However, an extension is recommended only when the deadline allows it. A client may request a different author to type his/her research. If so, additional time is needed to find a person to write a topic from scratch. So, extra 12 hours are to be added to the terms. As for now, the minimum revision deadline is 6 hours. Starting December 17, 2016, it will be 3 hours once again. We aren’t the cheapest agency you can buy from. And it is easy to understand why: to guarantee high-quality pieces from professional freelancers the site has to get paid enough. We have 398 active authors from the UK, the USA, Canada, and Australia. There are non-native English speakers, too with a good command of language and required skills. We work with advanced freelancers to ensure your language, business or medical essay is completed according to all your needs. At the same time, it remains cheap thanks to discounts and special offers. Check the reviews to find out what others say about us. Leave your own feedback to let potential customers know what the mutual cooperation guarantees.